It’s our policy to immediately advise residents of proposed developments- even before applications are submitted. 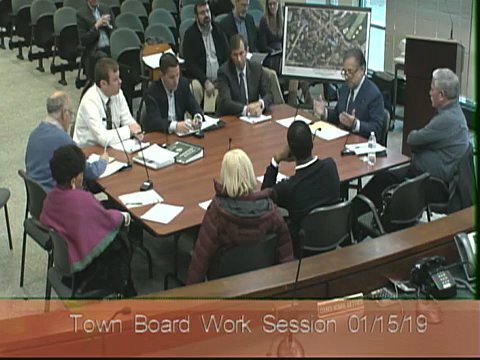 On Tuesday, January 15th representatives of Brightview (an Assisted Living provider with one such facility presently operating on Benedict Avenue in the Town of Greenburgh) met with the Greenburgh Town Board to discuss a proposed development at the Metropolis Country Club. Metropolis Country Club, located on Dobbs Ferry Road, would sell a portion at the north west portion of their property fronting on Dobbs Ferry Road to Brightview, and retain and continue to operate their existing golf course. Brightview built a 90 bed assisted living facility in the northern section of unincorporated Greenburgh in 2015 on Benedict Avenue. Representatives indicated that this facility is very successful and fully occupied. Brightview advised the Town Board that demand for senior citizen facilities is great and in addition to assisted living units, independent senior units are much needed in Westchester County. Independent Living units are designed for residents needing less care/services than those of an assisted living facility, and that the average age of independent living unit residents is 80+. Brightview seeks to propose 90 independent living units , 45 assisted living and 25 units for Alzheimer’s patients. This single building would be a maximum of 4 stories high and allow residents to age in place based on advancing needs. Brightview was attracted to this property because of it’s proximity to highways, mass transit, supermarkets, shopping, medical facilities. We dicussed landscaping and sidewalks with the applicant. From a process perspective, the applicant will explore potential updates to the Town Zoning Ordinance to enable independent living. Presently the Town’s Zoning Ordinance only permits Assisted Living Facilities. In recent weeks I have discussed the need for affordable assisted living facilities. Brightview will participate in our Assisted Living Citizens Committee (next meeting is January 25th at 3:15 PM at Town Hall). The committee will work with Brightview and try to come up with a concept that could create some affordable living. Country clubs like Elmwood in Greenburgh and Ridgewood in White Plains have experienced financial problems/declining memberships and have ceased operations as golf courses. Metropolis representatives indicated that selling this portion of their property to Brightview would stabilize the club’s finances and enable the club to continue to maintain their golf club and open space. At the meeting Metropolis gave us some good news –they are embarked on an initiative to work with the Greenburgh Central school district –opening their facilities at certain times of the day to the children who attend the school district. This is a fantastic opportunity for students.